One Off Cleaning Westminster W | Only £15/hour ! One Off Cleaning Westminster W. Quality, Hourly Based Service. In order to get a better overall picture of our one-off cleaning Westminster W, we will provide you with a detailed cleaning checklist. One of the first things is to fully inspect your place and what the team is going to clean. We want to make sure that the time set is going to be enough. Some surfaces are delicate or require a huge amount of time. RDA Cleaning & Maintenance Ltd. will suggest the best possible cleaning scenario depending on your requirements, of course. Any advice of yours is welcomed. 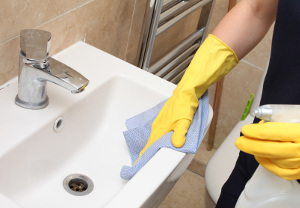 By giving the cleaners a priority cleaning list you will ease the working process. We will help you with that. The specialists know the needed cleaning time for many appliances. The cleaning checklist is also on the table simply because we want to meet your expectations in the best possible way. Hire Our Skilled One Off Cleaners Westminster W Today! One off cleaning Westminster W takes great efforts to provide you with satisfying one-off cleaning services with leasing results. Call us now at 020 3404 1646 W and schedule an appointment with our professional cleaners. If there happen to be any specific methods which you wish us to use for particular items, all you have to do is let us know.